A belief in the supremacy of individual interests over those of the collective, not to be confused with individuality (see below) or individuation. 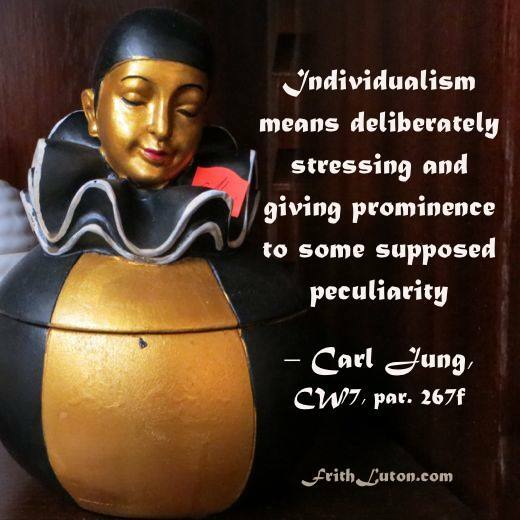 Individualism means deliberately stressing and giving prominence to some supposed peculiarity rather than to collective considerations and obligations. But individuation means precisely the better and more complete fulfilment of the collective qualities of the human being, since adequate consideration of the peculiarity of the individual is more conducive to a better social performance than when the peculiarity is neglected or suppressed. In the undifferentiated psyche, individuality is subjectively identified with the persona but is actually possessed by an inner, unrecognized aspect of oneself. 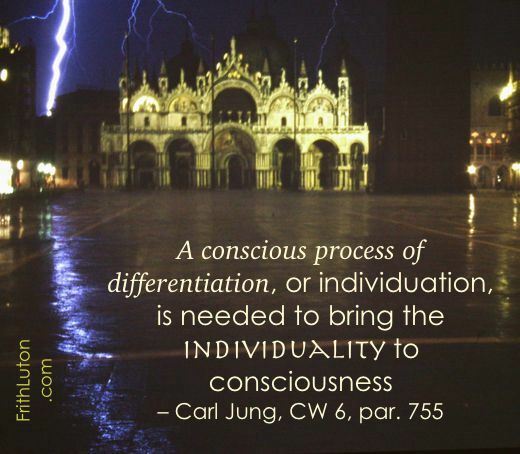 In such cases, one’s individuality is commonly experienced in another person, through projection. If and when this situation becomes intolerable to the psyche, appropriate images appear in an attempt at compensation.